You could buy her perfume again or that necklace she's been ogling, but if there’s anything you don’t want to be, it’s predictable. The thing is, though, it’s becoming more difficult to be unique and surprising and infinitely easier to click and order what you know she already wants. The problem here is that we get stuck in the rut of thinking higher price tags and exclusivity is actually correlated with how much we care. Rather than doing what we know our partners really want, and finding a gift that’s taken a lot of thought and effort and says something special about them. Don’t get carried away on Amazon and fall into the superficial gift trap this Valentine’s Day and instead get inspired by our top five unique and romantic gifts for her. All require adding a personal touch to complete and therefore significantly up your chances of making this Valentine’s one she won’t quickly forget. Valentine’s is the one day of the year dedicated to spending quality time together. That means, unless you’re still in the honeymoon period, you probably just want to chill out at home and make the most of each others company. 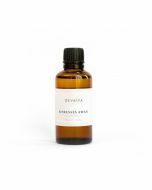 If that sounds like you, Devaiya Oils are the ideal enhancement to spending a quiet, romantic night in. From their nourishing lemongrass, lavender, and avocado cream that can be massaged from head to toe, to their Stresses Away oil that combines natural oils to relax and invigorate the mind and body, they’re sure to have something that tickles yours and your partner’s fancy. We used only to take photos to mark special occasions: getting married, celebrating an anniversary, having a baby, visiting distant relatives. Now, all it takes is if one of you has a caramel cocoa Frappuccino or its legs day at the gym. Social media may have somewhat taken the preciousness out of photography as a way to save precious memories. But you can inject it back in and show which memories you truly care about by framing them in a handmade, personalised wooden photo frame. 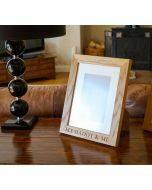 These high-quality frames are crafted in Surrey from solid English Oak, and can be personally engraved with your choice of words, lettering, or symbols on the top and/or bottom of the frame. This Valentine’s, why not bring attention to a special memory with an engraved frame that features your names, the date, and even a few cutesy love hearts (extra points if you go for the hearts). If your partner’s idea of Valentine’s is dropping everything and running away together, but they still like the modern day comforts of things like manicures and cross trainers, then you couldn’t do much better than Middlethorpe Hall and Spa. One night in this luxurious 300-year old country house, set in 20-acres of gardens, will make you feel like you’ve escaped not just the hustle and bustle of the city, but the whole century. From around £100 a night, you can experience what it was like to be an 18th-century aristocrat, dining on such delicacies as smoked duck and homegrown veggies and exploring the wildlife-filled grounds. Take a few surprise gifts to make it extra special and book early as its 29 rooms are sure to be full of runaway lovers this Valentine’s. But flowers and Valentine’s go together for a reason; and the red rose, the flower and colour of passion and love, is its number one mascot. Do it right by heading to an independent florist, picking up a dozen large Naomi or Kenya roses, and displaying them in a beautiful, contemporary, mouth-blown transparent vase, like this one that features subtle hues of blue. Throw in some luxury Belgian chocolates, and you will without question set yourself up for the win. When couples look back over their most cherished moments, you can bet most involve good company, a great setting, and exceptional food. The Starr Inn the City has all three — from their friendly service to their riverside setting to their delicious Yorkshire produce. The restaurant sits in the Old Engine House on the edge of York's Museum Gardens, and is surrounded by greenery and water. Spend a night there testing its impressive range of gins and dining on such delights as king scallops and air-dried ham or hot-smoked Wye Salmon as a late-night Valentine’s meal. Or even better, get there early for a pre-theatre dinner and venture out to a show at The Theatre Royal or Grand Opera House. But whichever way you do it, don't forget to order a dessert such as the coffee and dark chocolate tiramisu — she’ll thank you for it.